Hold the phone. Invite your neighbors. 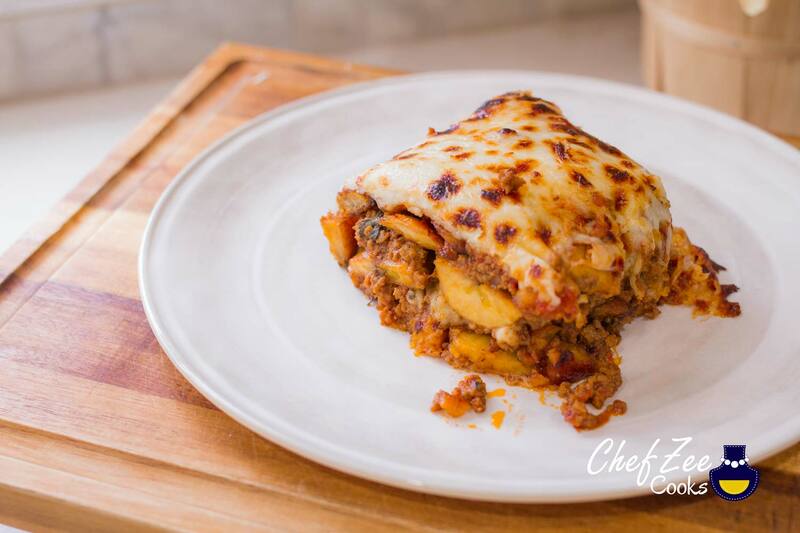 Get your tupperware ready because today I’m sharing my Pastelon de Platano Maduros Recipe which is essentially a Sweet Plantain Lasagna. Yes… you heard that right. 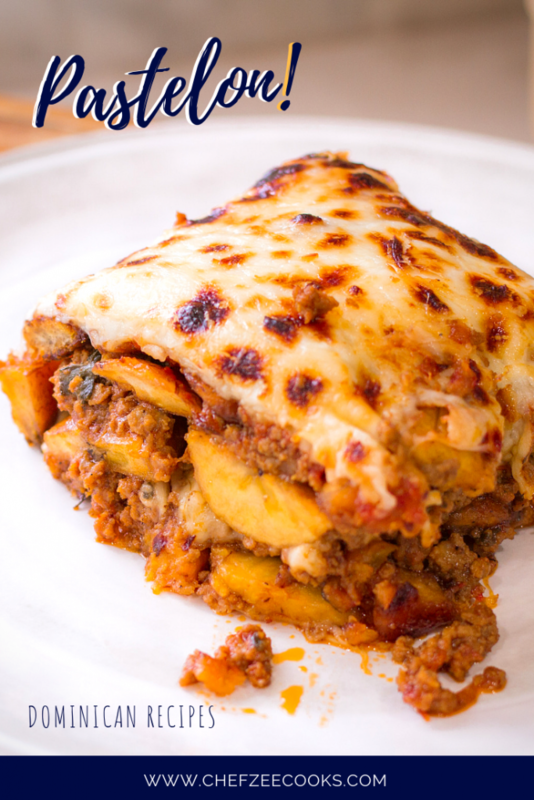 We are building a Lasagna with Sweet Plantains and Ground Beef. This dish is very popular amongst Dominicans & Puerto Ricans and it’s a dish that always present during the holidays. If you’re lucky, this is also a dish that’s around during family gatherings and parties. Now there are a million and one ways to making this dish and today I’m going to share my favorite way of making it. First we’re going to season and cook the ground beef and you can find that recipe on my blog and on my YouTube Channel: Chef Zee Cooks! Then we’re going to fry the sweet plantains and create magic. Keep in mind that you’ll also need about 8oz (1cup) of your favorite Marinara Sauce. Feel free to check out my Homemade Tomato Basil Recipe right here. …And now for the recipe!